Home» Tools and Equipment » What is Bench vice. What are the parts Bench vice. What is Bench vice. What are the parts Bench vice. A bench vice is a holding tool. It is the most used or most popular type of holding the tool. the specimen on which job work is to be performed is fixed secured tightly in the bench vice and then mechanical work can be performed on a bench vice. bench vice is a non-portable tool as the name suggests, this voice is mounted on a bench. Body is an outer part and main body of vice. the body contains a base of bench vice this base is attached to the bench to establish a strong mounting with Bolt and nuts. Slider is the part which will move to and fro directions. 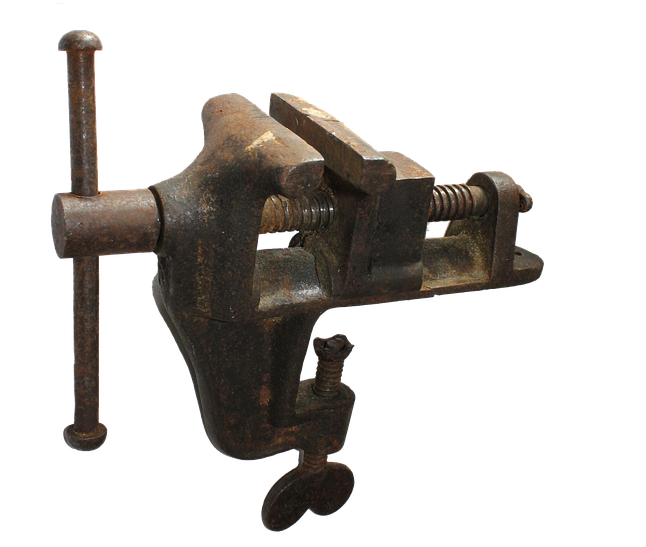 the slider will help mounting or Demounting of the specimen for job work in the bench vice. Screws are connected with the slider. with the help of the screw, the slider will be capable to move forward and backward directions. The screw will move on the Threads provided in the vice. There is a pair of jaw is used. between this jaw, the specimen is placed. one Jaw is fixed which is placed in the main body part. the other movable jaw is placed in the slider which will move along with the slider. Handle is a part to control the movement of the slider. the handle will be rotated to hinge or unhinged The specimen between the Jaws and by the forward and backward motion of the slider. The rotation of the handle will be converted into the sliding movement by the threads. These are all the main parts of a bench vice. A bench vice is most used holding tool amongst all. Fitter works cannot be imagined without it.